Before the widespread advent of webpage commenting systems, many websites would have guest books. These guest books work similarly to how a real world physical hotels guest book does. Visitors to a website can leave a comment or note about the website, which will publically appear on the site, by filling in a guest book entry form. Whilst the addition of a guestbook to a newly launched website is now rare, there still exists a significant amount of websites live on the web which utilise such a system. In later implementations of guestbook systems the user additions would be subject to moderation by the webmaster. Many of the guest books still live on the web today have no such moderation; these sites have become a ‘free for all’ for both user comments and links. Guestbooks also usually have poor or non-exist captcha, making them an easier target for black hat link generation software. The vast majority of guest books do not automatically add the rel nofollow HTML attribute to the ahref links left by users. This is not surprising given that many of the currently live guest book systems were built before rel nofollow even existed. Whilst WordPress now dominates as the webs primary ‘blogging’ platform no such defunct industry standard exists for guest books. There are a wide variety of different guestbook platforms available. Added to this is the fact that many guestbook installs have never been updated, leading to a wide variety of guestbook implementations in the wild. That said, most guest books look very similar and are relatively easy to identify, most simply being a series of paginated pages listing guestbook entries. Most guest books are entitled either as ‘guest book’ or in some cases ‘testimonials’. Guest books that have been abused by automated black hat spamming software are usually littered with an almost seemingly endless amount of spam links. 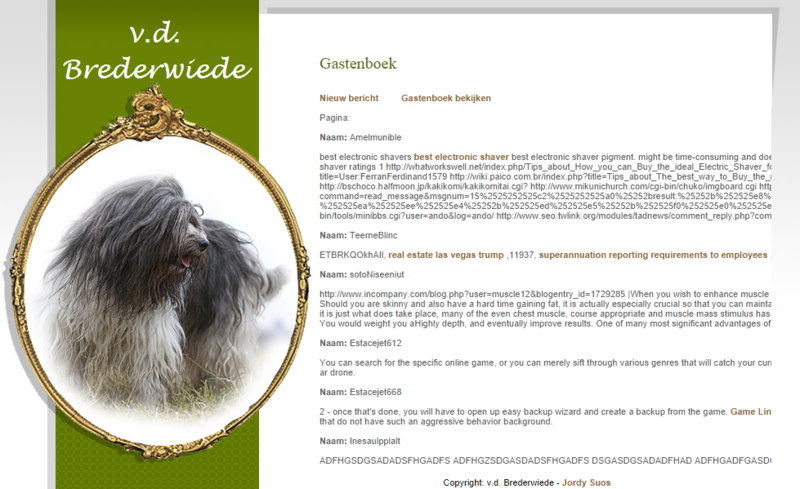 A German guestbook that has been spammed by black hat SEO software. It is highly unlikely that you have ever left a ‘natural’ link within a guestbook. It is questionable that ANY link within a guestbook can be viewed as natural given the link has been added by a user and not a natural editorial link. If you have any guest book links pointing at your site you should look to remove these links and disavow them at a URL level.